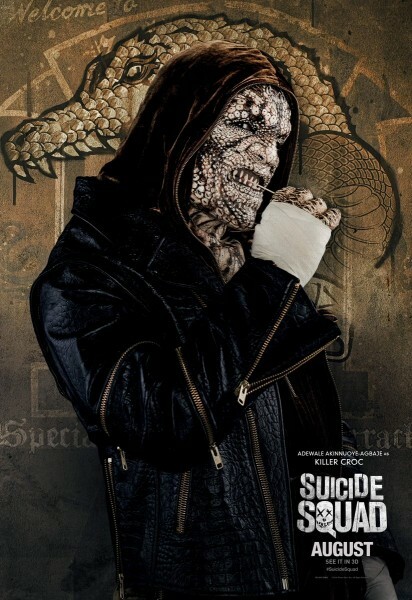 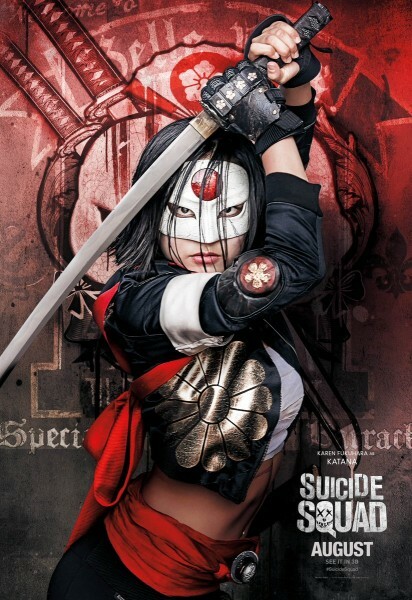 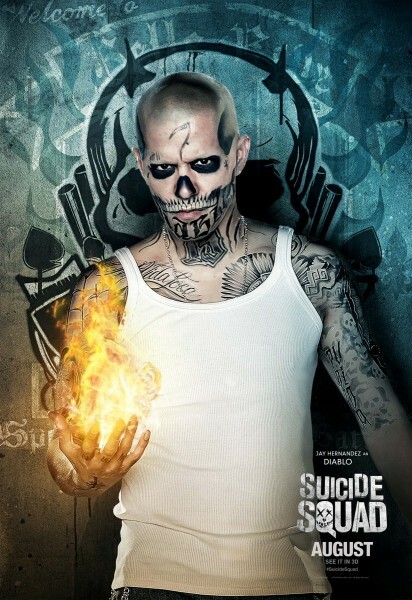 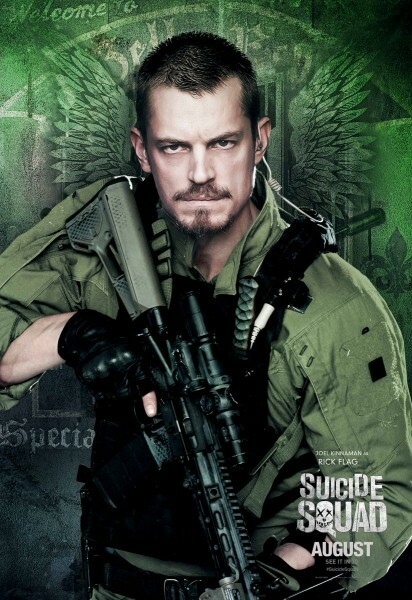 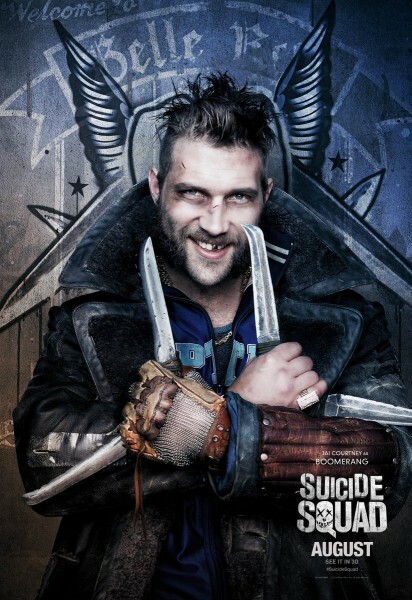 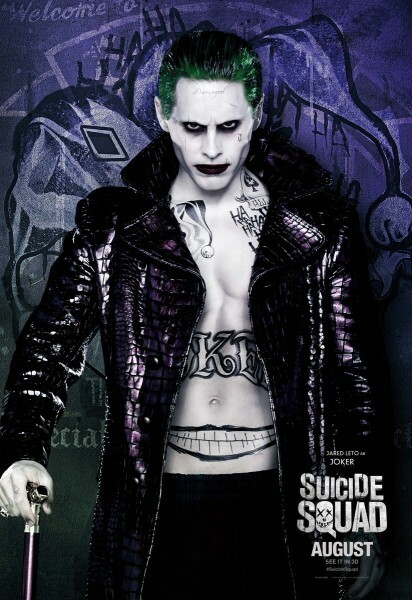 The marketing push continues for Warner Bros' Suicide Squad' as new character posters were released. 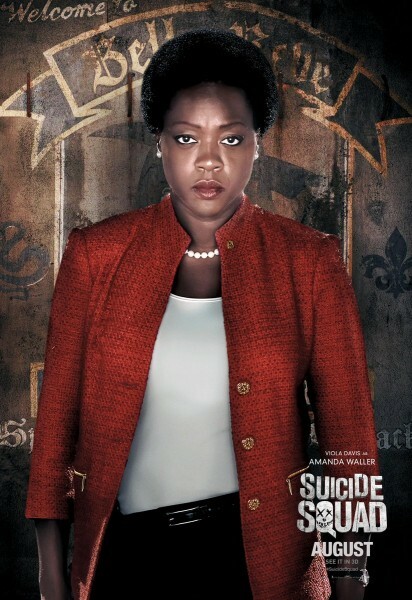 The colorful shots feature a grimy group of the "worst heroes ever" but also includes a poster of Amanda Waller played by Viola Davis. 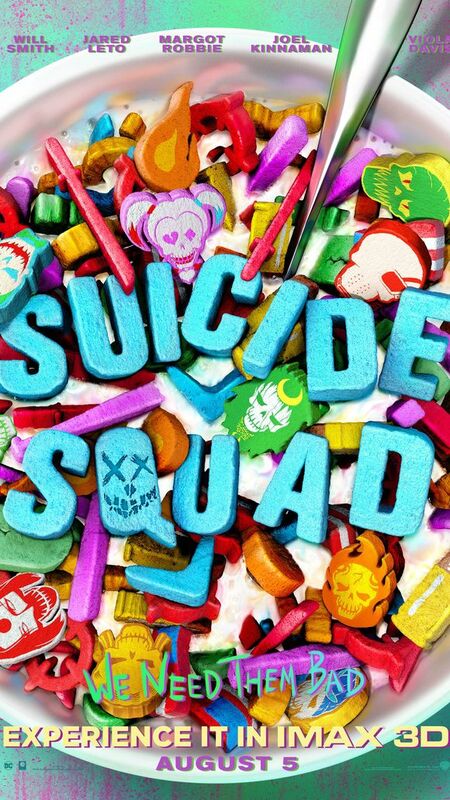 Also, check out the new cereal-inspired IMAX poster below. 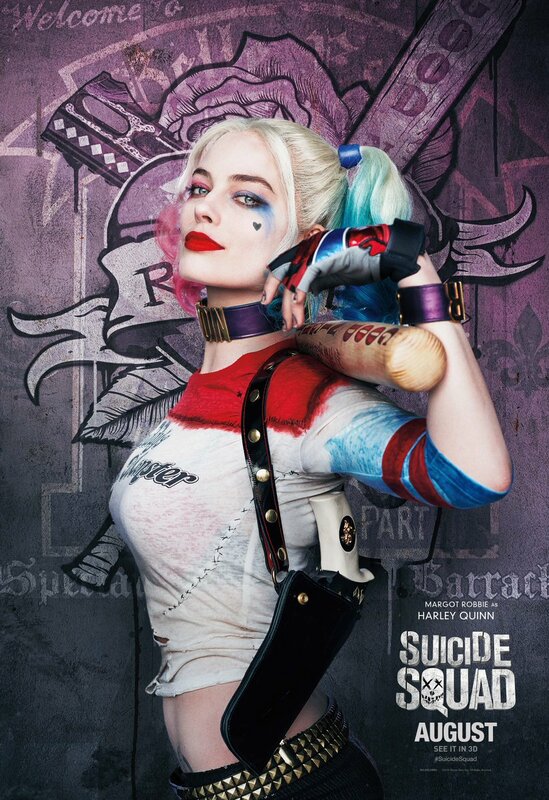 So far it's been a fun and bizarre promotional campaign that has fans extremely excited to finally see the David Ayer's DC Comics adaptation. 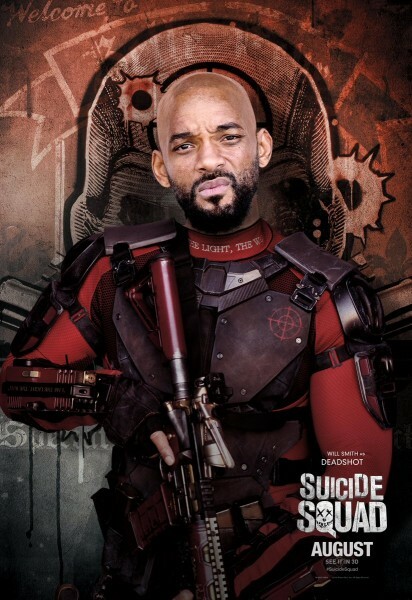 The film also stars Will Smith, Margot Robbie, Jared Leto, Jai Courtney, Joel Kinnaman, Cara Delevingne, Adewale Akinnuoye-Agbaje, Adam Beach, Jay Hernandez, and Karen Fukahara. 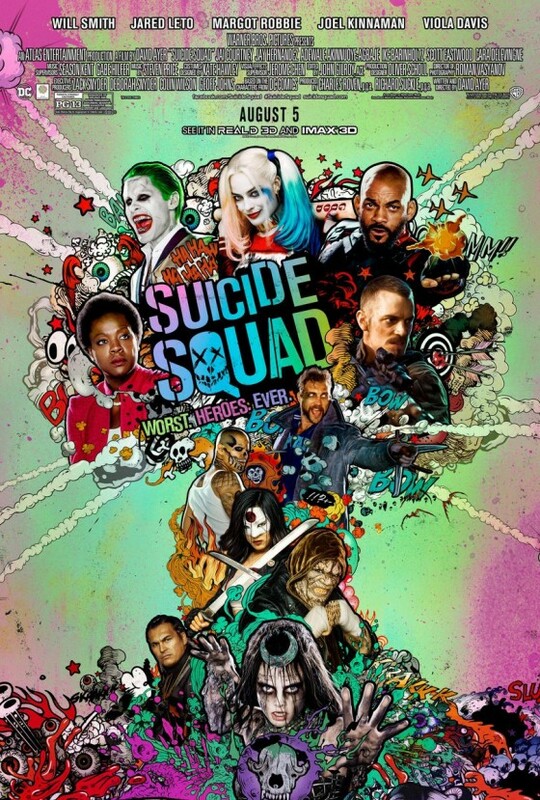 Suicide Squad opens August 5th. 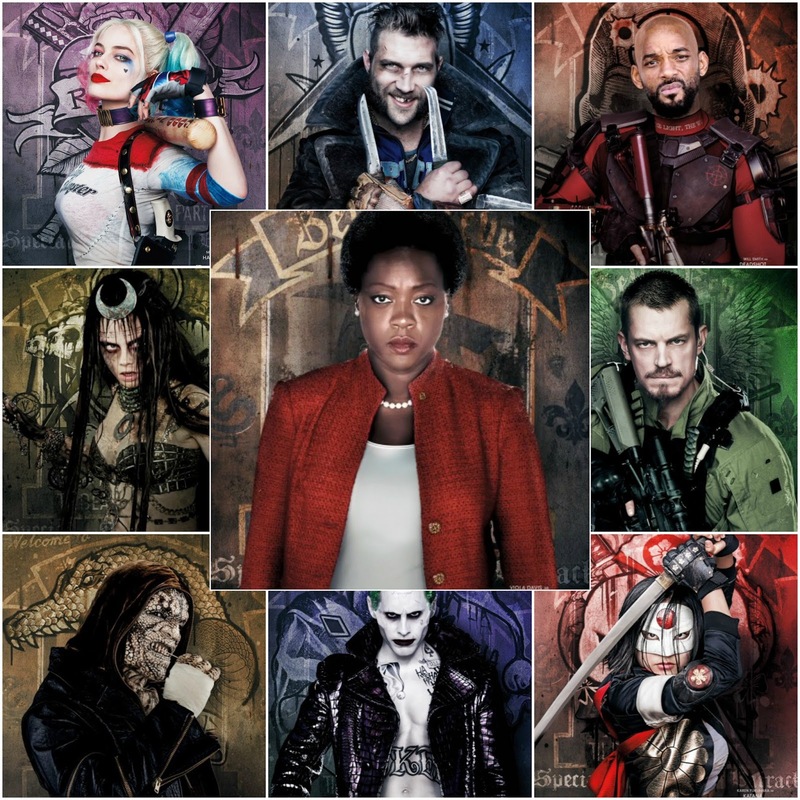 Diablo Harley Quinn Jared Leto Jay Hernandez Joker Katana Killer Croc Margot Robbie movie movie trailer poster Suicide Squad Viola Davis Warner Bros.
Labels: Diablo Harley Quinn Jared Leto Jay Hernandez Joker Katana Killer Croc Margot Robbie movie movie trailer poster Suicide Squad Viola Davis Warner Bros.